Your restaurant may be a creative outlet for you to delight diners with recipes that show off your artistic flair. However, it’s still a commercial enterprise, and to be successful, it must be operated on solid business principles. The need for risk management is apparent every day, and business insurance should be at the top of your priority list. Learn more about the types of commercial insurance you need for your restaurant. If you own your business premises, property insurance protects the structure against damage due to fire, storms, falling objects, vandalism, and other perils. It can also protect your business assets inside the building, including tables and other furniture, electronics, kitchen equipment, and even inventory. If someone slips and falls or becomes ill from something they ate at your restaurant, liability insurance pays the cost of any medical treatment. 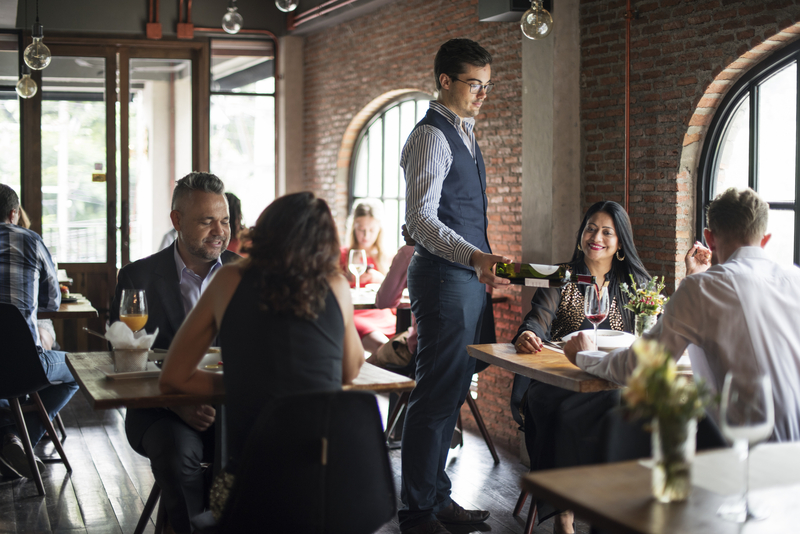 This protection extends to your staff as well—if a server accidentally spills hot soup on a customer's priceless mink coat, the liability policy pays for repairs and the cost to defend a lawsuit resulting from the incident. If your business sells alcohol, you could be held responsible for serving a client who over-imbibes and later crashes a car. In some cases, you could be sued by anyone injured in the accident as well as the patron you overserved. Liquor liability insurance comes in to play after such an event. If you own a fleet of vehicles to provide delivery service, you need to insure them up to the standards set by state law. In North Carolina, vehicles must carry at least $30,000 of bodily injury liability per injured person to a per-accident maximum of $60,000. You also need at least $25,000 of property damage liability. Workers’ comp insurance pays the medical costs of any workplace injuries or illnesses you or your employees should suffer. If they take advantage of the free medical care, your workers waive the right to seek additional damages from you, limiting your exposure and benefiting both parties. To discuss your business insurance options with a friendly, experienced agent, contact Phillip Kent Beck Agency in greater High Point, NC. They serve businesses and individuals in and around Randolph County, and also specialize in home, life, renters, and auto insurance. Call (336) 434-­2111 to discuss your needs and request an insurance quote.